NORTH VANCOUVER, BC – British Columbia craft beer news blog Beer Me BC reports that the province’s first new craft brewery of 2014 quietly opened for business earlier this month. 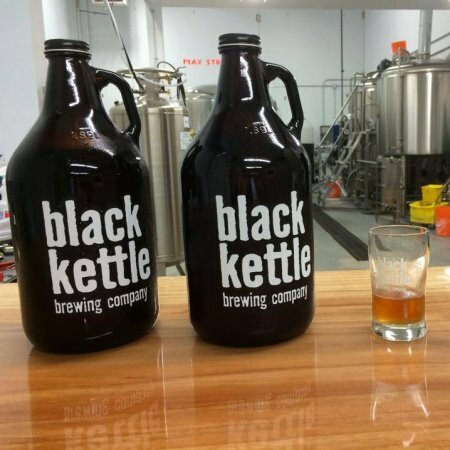 Tucked away in an industrial area of North Vancouver, Black Kettle Brewing was launched on January 17th by owner Bryan Lockhart and brewmaster Phil Vandenborre. The brewery is currently offering a single beer – the 4.5% abv Black Kettle Pale Ale – in growlers and kegs. It will soon be joined by a dry-hopped India Pale Ale, and 650 ml bomber bottles of both beers will be available in coming weeks. For more details on Black Kettle, check out the brewery’s Facebook page.